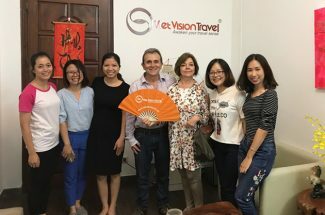 Start in Hanoi and end in Ho Chi Minh City, this trip is truly a memorable experience to keep for yourself a good impression about the country and people of Vietnam. You will have the opportunity to understand more about the various and diverse culture of the region, participate in many activities which are closed to the indigenous people. 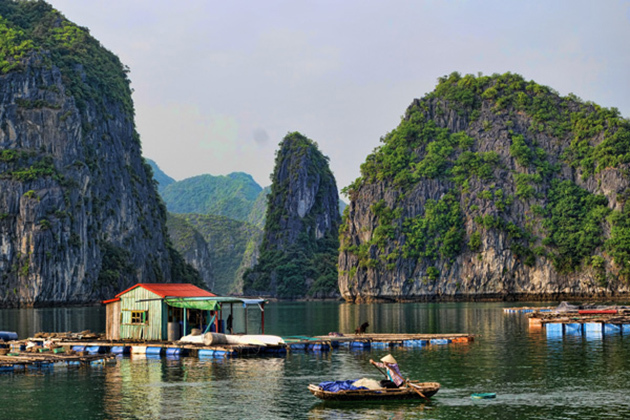 The Vietnam tour package within itinerary 2 weeks is a perfect combination of luxury services and eco-friendly style, promises bring for you a great time in our beautiful country. Warmly welcome to our beautiful country. Our tour guide will pick you up at the airport and move to the hotel to check-in. At the start of the evening, we will come to Baara Land to see The Quintessence of Tonkin Show – recently become more famous because of its cultural spectacle. Overnight in Hanoi. 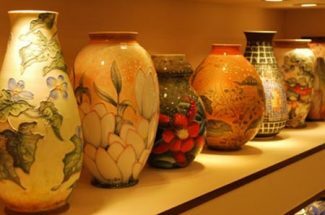 In Hanoi, there is a ton of special things that you should impress in. The main area of this trip is the Old Quarter and some nearby places. Street food in this city had attracted many tourists who have already visited, was talked about in many famous magazine and travel blog all over the world. One thing that you can not deny experience street food here is its price and quality. Traffic in Hanoi was terrible with most of the local people but in tourists’ view, it’s adventurous, special and a little bit challenging. Railroad tracks run through densely populated areas in Phung Hung street, has attracted great attention when was mentioned by CNN. 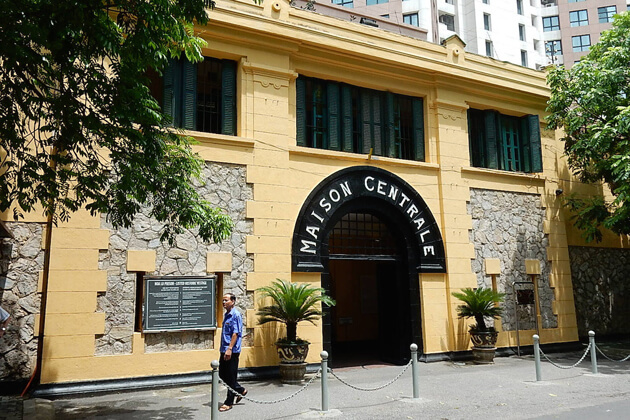 36 old streets in Hanoi is also a place that you can not ignore, which still retain lots of traditional features in the culture of living, maintain many famous jobs. Overnight in Hanoi. After breakfast, we will pass by about 150 Km to come to Pu Luong. Arrival at noon, we check in and have lunch in at Pu Luong Retreat. Because this retreat was built by eco-friendly with nature, you can have whole time in here, immerse in the picturesque landscape and hide from noisy and crowded life. In the afternoon, we will start at a suspension bridge on Cham River, walking in here and look for beautiful stunning water wheels, find out how it works. Stopped by a house of local fishermen, we will have a short rest to prepare for an adventurous climb down the river. Float along the quiet river and enjoy the fascinating landscapes along the banks. At Tan Lap Bridge, we got off and come to the vehicle, back to Pu Luong Retreat for dinner. Overnight in Pu Luong. After breakfast, we start walking to visit the wonderful valley located in the resort. Continuing through the small paths, we will walk to a picturesque village, based in the foot of a towering mountain. Soak up the roads, farmlands, villages, mountains, forests, ponds and rivers. We will take trekking to enjoy the outdoor lunch. After lunch, we will be free to take a fresh swim in the nearby river before boarding our Tuk Tuk and return to the retreat. Overnight in Pu Luong. Get up early in the morning to get closer to the life of the village and the community by interacting with the local people living on the hill. 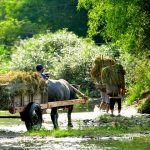 Walking around the fields and paddy fields, talk to local people and if you want, participate together in daily work, learn how to make rice wine and weave colorful things. Return to the resort for lunch, then we will get in our own car and come back to Hanoi. Overnight in Hanoi. 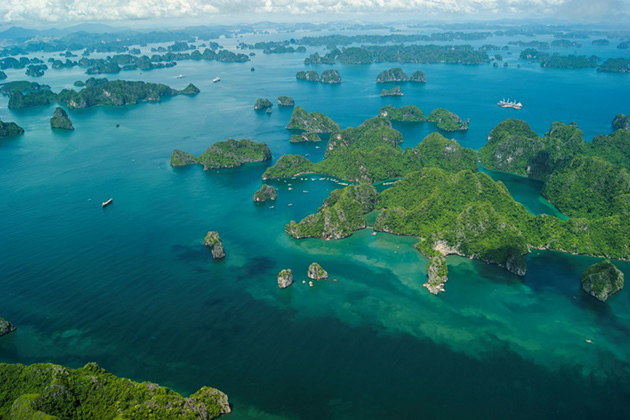 Remember to wake up early to prepare for one of the most fabulous highlights in this tour – moving from Hanoi to Halong Bay by seaplane This is the one and the only service in Vietnam, promises bring for you a great experience by sightseeing this wonder’s nature from above. 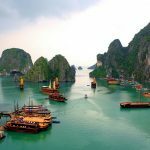 Get to Tuan Chau Marina, we will check in Paradise Suites Hotel to transfer to Paradise Peak Cruise – the most luxury cruise with the top of services in Halong Bay. The peak is characterized by its outstanding architecture, are exactly a perfect combination of traditional Asian style and modern Western features. Lunch will be served for you at the restaurant and then sightsee along Halong Bay with many beautiful landscapes. In the middle of the afternoon, you will delight in a spa treatment at Paradise Spa, refresh your body and soul. Next, you can visit Sung Sot Cave or another option is kayaking near Luon Cave area. An interesting activity is cooking demonstration, was taught by our local chef, broaden your knowledge in Vietnamese cuisine. Then, let immerse in Paradise Royal Dinner at the restaurant. Overnight in Halong Bay. Start your brand-new day by doing Tai Chi on the sundeck with a light breakfast, coffee, and pastries. A la carte breakfast will be served for you at the restaurant next. Then we will transfer to Paradise Explorer to visit Titop Island, Tung Sau Pearl Farm. Having a Vietnamese lunch definitely a good choice. 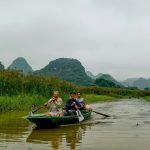 Afterward, spend the time visiting Cua Van Floating Village by bamboo boat or kayak before returning to Paradise Peak Cruise. In the late afternoon, Happy Hour and Cooking demonstration are two activities that you should concentrate on will be happened on the sundeck. Pre-dinner cocktails will follows next. Paradise Royal Dinner at the restaurant will be prepared for you. Hope you have an amazing time. 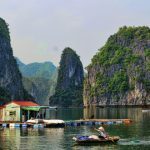 Overnight in Ha Long. Let’s do Tai Chi exercise on the sundeck and enjoy light breakfast with coffee and pastries. The rest of the morning, you can stay on board to relax or enjoy a spa treatment at Paradise Spa before having A la carte breakfast at the restaurant. Check out and return to Tuan Chau Marina. Move to Hanoi by Hai Au seaplane. Get off at Noi Bai International Airport and take lunch here and prepare for flight come to Hue. On Hue arrival, moving to the hotel and check-in, the rest of the day you can use to refill your energy, prepare for the next day. Overnight in Hue. In the morning, we will visit Khai Dinh tomb and Thieu Tri tomb, know more about Nguyen Dynasty by the career of these kings. In the afternoon, let spend the time to visit Hue National School for the gifted. This architecture was built in the French style in early of the 20th century. Late in the afternoon, we will participate in Vespa Twilight over Perfume river from a hilltop. We will start at 16:00, exactly at the fascinating sunset moment of the day. We pass Truong Tien bridge, come with Dong Ba market – famous as an old market which is closed with local people’s life. 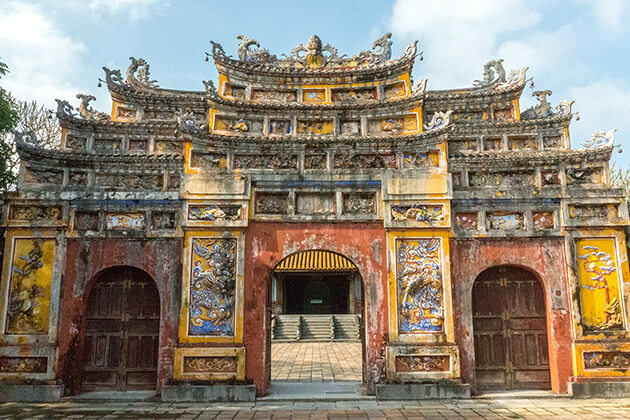 Hue Citadel is the first destination of our journey to know more about growing and falling process of Nguyen Dynasty. This is a fabulous architecture works, related to a period of Vietnam ancient history. Then, we will explore Thien Mu Pagoda – an old pagoda which is located far away city center about 5 km, next to Perfume River. Thien Mu is the biggest pagoda in Hue and was known as the symbol of this romantic city. Keep riding to the West area to come to Vong Canh Hill. This place will bring you a panoramic view of the mountains and the Perfume River. On the top of the hill, you can immerse in the marvelous scenery while enjoying sparkling wine, local beer or soft drinks. Riding back and enjoy your dinner at Tha Om Garden House. 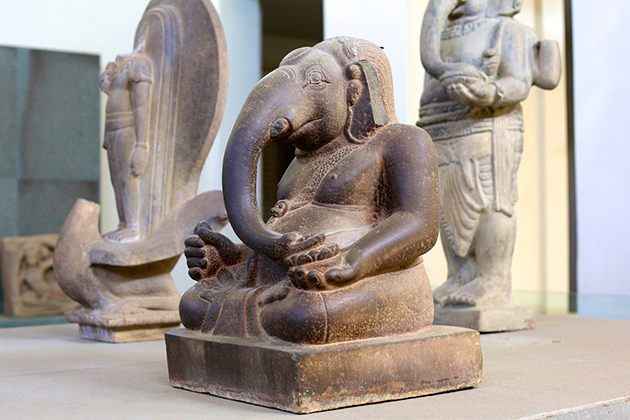 Stepping into Tha Om, you can enjoy a warm, private and intimate space. Even though this house only was built of bamboo but it still has enough those criteria: solid, comfortable and harmonious. Your beloved family will often spread out of the heart with nature, the wooden doors always open to getting sunshine. Wake up in Hue and we will on the way come to Da Nang City – the most worth lively city in Vietnam. 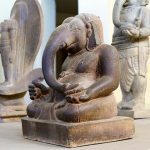 In the morning with this beautiful city, we will visit Cham Museum – the most favorite destination for international tourists. 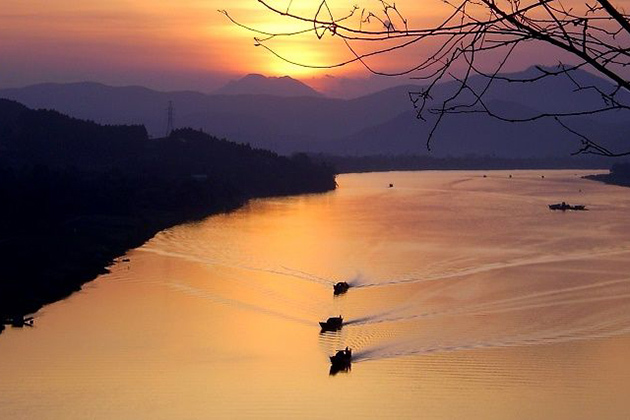 Next, we take a walking along Han River, immerse with fascinating scenery in here and come to Ngu Hanh Son. The following station is Fine Art Stone Non Nuoc village, was established in early in the 18th century, extremely famous for art on stone. End our journey in Danang, we will move to Hoi An, check in at Koi Resort and Spa Hoi An. Inspired by the glamorous and ancient charm of a timeless cultural heritage, the unique architecture combined with the natural green space of Koi Resort & Spa Hoi An will bring you a luxurious experience. Nestled on a lush oasis on the banks of the De Vong River, the resort offers for guests a private and peaceful space. Only a few steps away to get Cua Dai Beach, this riverside resort will provide for you wonderful moments when you stay in here. 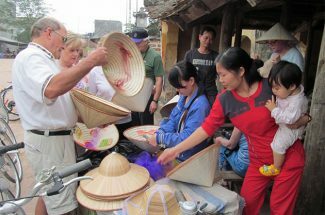 In the evening, you can spend the time to explore an ancient Hoi An. Overnight in Hoi An. Wake up at the peaceful city, the first station for today is Sa Huynh Culture Museum. Next, we will visit and take photos in Cau Pagoda, explore the ancient street area. In the afternoon, let participate in Vespa Tour to immerse into this ancient city. 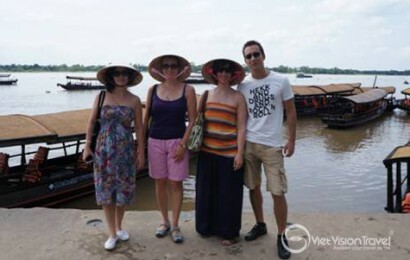 Hoi An is a quite small city, everything in here brings you a branding-new feeling. 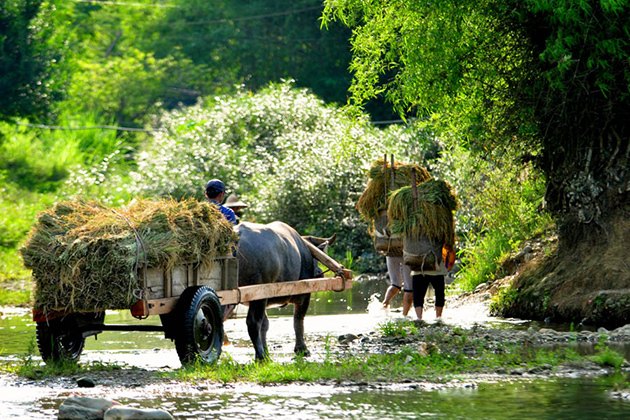 We start this journey by riding Vespa to the countryside for sightseeing and villages, on the way along the banks of the Thu Bon River. Stop at a local market where you can find fresh seafood, learn about the local fishing process. After that, we ride Vespa into the rice farm, take many beautiful photos in here. The next station is a village where you can see local people making rice crackers. We continue riding Vespa passing a bridge of Thu Bon river, visiting the farm and know more about agricultural cultivation practices. Next, we will visit a traditional family, learn how to make Mat weaving. End of this trip, we come back to Hoi An, at the moment that sunset falls down incredibly. Overnight in Hoi An. Come back to Da Nang International Airport to take the domestic flight to Nha Trang – our beautiful coastal city, check in An Lam Retreats. An Lam Retreats located in Ninh Van Bay – a place that you can not come to by road, offers a modern and beautiful space for relaxing. Guests can walk to the waterfalls behind the resort, go to the outdoor swimming pool open all year round, enjoy a peaceful, private and comfortable time. Guests can take part in various activities such as snorkeling, kayaking, rowing, and volleyball. The nearest airport is Cam Ranh International Airport, about 43 km far away. Sen, the on-site restaurant, serves a variety of delicious Vietnamese specialties, Asian delicacies, and international cuisine. Overnight in An Lam Retreat. 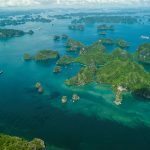 Be famous as the most attractive bay in Vietnam, located in a private space and closed with nature, this bay exactly is the most suitable place for trekking. Let spend a short time to explore this fabulous bay. The simplicity of the people in wild nature has formed a wonderful and precious living space, breaking the distance between nature and people. 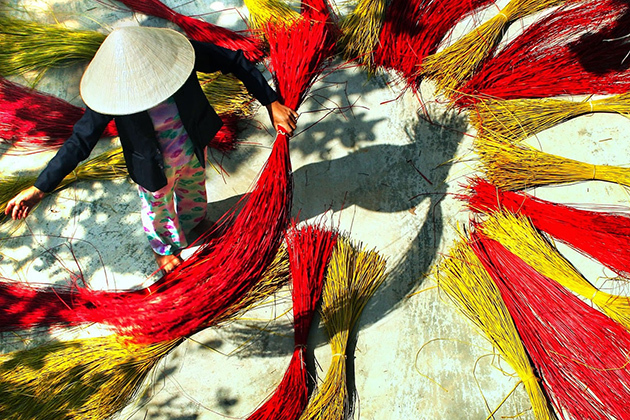 These things make Ninh Van island was well-known as a miniature paradise, where the peaceful life of local people come deep into serene tranquility. In the afternoon, we will bring for you a memorable experience by exploring Nha Trang Bay in 5-star Emperor Cruise. When the sunset falls down, our cruise will go along the bay, provide you a panoramic view and looks to this dynamic city. Enjoy your fantastic dinner with cocktails, living music space, and romantic scenery. Overnight in Nha Trang. Today is spent all for you to free discover Nha Trang. We offer you a great destination that you should enjoy is VinPearl Land – the most attractive place for tourists recent years, you can spend a whole day in here with many interesting activities such as on-site adventurous games, see 4D movies, visit Aquarium, etc. Overnight in Nha Trang. After breakfast, we will take the flight to come to Ho Chi Minh city. Take a rest in here, have lunch and prepare for the departure flight. Hope to see you in another program.